HomeCompany NewsFeel the spirit of Asia Outdoor Trade Show 2015! Asia Outdoor Trade Show will mark its 10th birthday in Nanjing from 23- 26 July, 2015. It attracts numerous visitors from around the world every year. All popular brands will be represented here, coming up with various colorful activities. 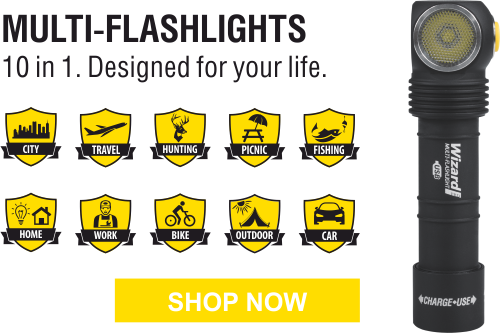 You will have an opportunity to discover all aspects of outdoor and you will meet a famous Armytek brand – the most reliable and durable flashlights specially for your needs and tasks. You can catch our newest models on the show, handle them, try them out and compare with other devices. The show will give you an excellent chance to experience high-end materials, first-rate comfort and elaborated functions of our flashlights. We warmly invite you to come and join this remarkable event. Don’t miss a unique opportunity to meet the manufacturer of Armytek Outdoor & Camping flashlights personally and the whole outdoor industry on one place, find new developments of the outdoor market and buy the favorite product directly during the show. We look forward to the opportunity to meet you at the most splendid event! July 23-25, 2015 Thursday - Saturday 9:00 a.m. - 5:00 p.m.
July 26, 2015 Sunday 9:00 a.m. - 2:00 p.m. Looking for something new? IWA Outdoor Classics is for you!